At the recent meeting of the Executive Board, as part of a wider report on the vision for leisure centres in the city, proposals will see a brand new facility built on land adjacent to the existing site in Rothwell. 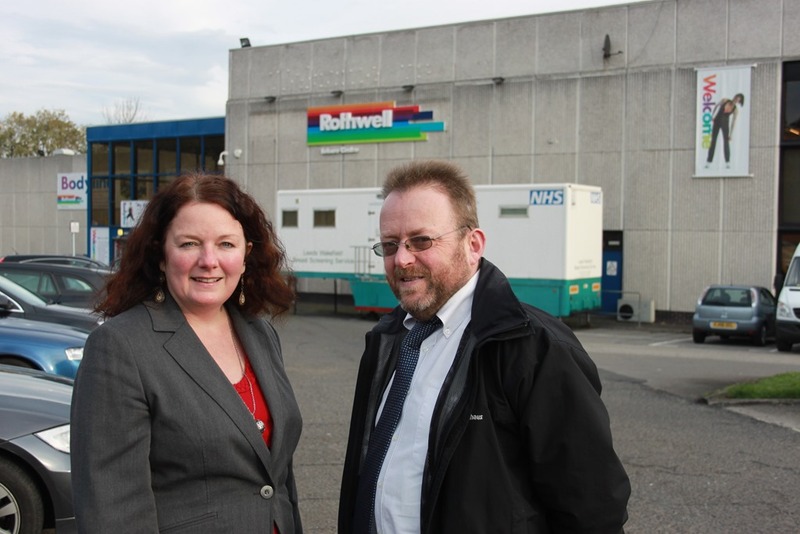 Me and my Labour ward colleague Cllr David Nagle have been campaigning for improvement and significant investment to overhaul Rothwell Leisure Centre and have had meetings with the senior officers and the executive board member responsible. We really welcome the new proposals, which will see a number of integrated services housed alongside gym facilities and full size and small swimming pool,with lido splash pool, along with new gym and sports facilities. Extra facilities not currently offered under the existing leisure centre model will also be included. Pending the outcome of a detailed feasibility study, it is estimated that the new leisure and wellbeing facility would cost in the region of £10-14m, forming part of the Council’s wider ‘invest to grow’ focused commercial strategy. This is even better than we hoped for as we have been pushing for investment in our leisure centre for a long time. To get a new build is absolutely fantastic news. It’s wonderful to see this significant investment into our local communities despite continuing pressures to our budgets. It shows a continued commitment to giving all residents the opportunity to either remain or become active, and will contribute greatly towards the health and well-being of local people. Rothwell Leisure centre is one of the most well used sports centres in the city and is well loved in Rothwell and our villages by many people and families, including my own. But the current centre was built in the 1970’s and needs more than a little TLC. We need our leisure centre to be fit for the 21st century and people’s expectations and experiences change. With a brand new modern, high quality leisure and wellbeing centre, I know that the people of Rothwell will greatly welcome access to affordable, top class classes and facilities. Here are the comments so far from me and my ward colleague Cllr David Nagle on the site allocations proposed for the Rothwell ward. We’ve actively asked local people to tell us what they think of the proposed site allocations and I’ve tried to include as much as possible of what local people have told us, along with our three neighbourhood forums in Rothwell, Oulton & Woodlesford and Carlton. Any further input would be very welcome and amendments and additions can be made. Pictures are around the ward and not necessarily site specific, to break up and illustrate the large amount of text in this post. Leeds City Council has produced its local plan showing land that could be available for housing during the next 15 years. The government requires the council to do this and make new land available to show there is enough supply. Any development would still need planning permission in the normal way and some sites, especially those in later phases will not be built for some years. Despite our strenuous objections the draft plan still includes some sites for housing which we feel are unsuitable. We are submitting our formal response to the public consultation on the site allocations process on behalf of local people and there is still time for local people to have their say before the deadline of 5pm on Monday 16 November 2015. We have taken into account residents’ and neighbourhood forum comments we’ve received so far and will continue to listen to what people have to say up to the deadline date as we make our submission. Woodlesford and Oulton Neighbourhood Forum with our backing are asking for an extension of four weeks to this deadline for consultation for the Outer South area to allow time for a possible announcement on HS2 to be taken into account in submissions, it is unknown at this time whether this will be granted. Our stance is that we firmly believe that our green belt should not be built on while there are brownfield sites anywhere in Leeds. It’s lovely here because we’re surrounded by green fields and we want to keep it that way. It’s important to stand up for our area along with local people and our neighbourhood forums, making our voices as a community heard! The government informed all councils they needed to develop a plan to show land for housing for the next 15 years and planning laws have been relaxed to encourage building of homes. Sites allocated for housing in the outer south area which covers Rothwell are 4% of the total, which is lower than most of the other areas in Leeds. However, we are concerned that some green belt land is included. The public consultation process is a chance for everyone to have a say on where future development might be. We were assured by planning officers that through the consultation, well thought through changes could be made to the site allocation proposals. Historically, Leeds had a sequential brownfield-first policy. This meant, simply, that with more than 340 brownfield sites available across the city, Leeds was demonstrating not only local supply but also protecting greenbelt sites from speculative development requests. Indeed, there are currently many brownfield sites with live planning permissions in place for in excess of 10,000 homes. These would, based on current housing projections and population growth forecasts, deliver sufficient land supply for at least ten years. This clearly shows, I believe, that there is actually no need to actively progress sensitive land supply. So why is Leeds being asked to forfeit greenbelt sites, when there are live permissions granted and a brownfield supply available to satisfy the housing needs of the city for at least a decade? The simple answer is that there has been a loss of local planning control due to the demands of the Government and the Government Inspector. In Leeds there have been ten successful appeals from developers who had submitted applications for housing development on greenbelt land. All were planning permissions rejected by Leeds City Council, in line with the sequential brownfield policy, but later passed by the Government Planning Inspector. And this was replicated on sensitive sites up and down the country. Developers now have the right to submit applications on any land in any location, with a guarantee of winning on appeal, unless the council can demonstrate sufficient land supply. And this land supply must be adequate across each HMCA. HMCAs were established through the Strategic Housing Market Assessment (SHMA), which was prepared by consultants for the council through 2010 and published in 2011. They were designed to reflect market areas that people relate to when they are looking for a house; they also relate to the four affordable housing zones. Rothwell ward, which also includes Woodlesford, Oulton and Carlton, is in the Outer South HMCA. It is clear that without a plan and agreed numbers that could demonstrate a 15 year land supply, the alternative would be to lose appeal after appeal. We would be faced with rampant development across every area of the Rothwell ward, with little or no Town & Country Planning Section 106 monies (the funds paid by builders to develop infrastructure or its replacement, the Community Infrastructure Levy). The council effectively had to negotiate a housing number with the Government and demonstrate it was working towards a site allocation plan. And while it may not guarantee stopping speculative development, it is the only way to ensure it is much less likely to succeed and satisfy the Government Planning Inspector as to land supply. When the government inspector overturns local planning decisions at appeal, the cost is picked up by you, the local taxpayer. The Government having relaxed the planning rules, has, in effect, taken the final say away from local councils. We strongly believe this site on open green belt land is unsuitable for such a potential housing development. It is not justified to remove this site in preference to other rejected Green Belt sites where they do not fulfil as important a role in Green Belt terms as this site. This site represents urban sprawl. This site serves as an important gap between Rothwell and Robin Hood – building on this gap would see Rothwell sprawling towards Robin Hood. There are sites in the Outer South that were identified as Green in the Issues and Options consultation, specifically land at Hope Farm, Robin Hood, which were assessed against the Site Methodology more favourably but have been rejected for reason of local preference for other sites. There is no local preference from the Rothwell community for the site at Haigh Side. We have been contacted by many residents who are unhappy with Haigh Side being allocated as a housing site. This area off Wood Lane is unsuitable for major development due to infrastructure and facilities not being in place so it is unsustainable. There is very little in the way of services and facilities at this top end of Rothwell which makes this site an unsound element of the council’s plan. We don’t believe that this site has been positively prepared, justified, effectively or consistently with national policy. Therefore, we believe it should be removed from the council’s plan. The highways network is unsuitable. Already problematic situation at T-junction at Jaw Bones, at the end of Wood Lane. At rush hour residents have reported to us suffering regular long delays at this bottle neck and journey times into Leeds from Rothwell, being held back at the traffic lights whilst traffic is allowed to flow on the main Wakefield to Leeds road. Protection of Haigh Side Wood (off Low Shops Lane). Working with the Rothwell Neighbourhood Forum and the council, we are working for improvements to bring it up to community asset standard and ensure protection of the wood. We have already had an independent expert visit the wood with us to provide guidance on how best to do this. This wood, the beck and surrounding countryside are important to this area of Rothwell. The presence of power lines could make development problematic and compromise needed to accommodate these could result in a poor quality development. Could this large number of housing be delivered here given these constraints and if not, what additional land would be needed to make up for the shortfall? Local schools are already at capacity. For a development this size a new primary school would have to be planned for as part of the site, with part of land needed to provide a new school. A school on a different site in Robin Hood without housing development is not justified and it is not justified not to have a school here if the site remains as an allocation. Locals already have to wait to see a doctor. For a development of this size a new doctor’s surgery would be necessary and planned for, with part of land needed for new surgery. Public transport needs would need to be catered for with a development of this size and development couldn’t happen until improvements are made. It is planned that the new NGT trolleybus system will come as far as Stourton, However, we feel that this would have no effect on the road situation coming out of Rothwell at Jaw Bones end and in our view additional residential development in the area would exacerbate current problems. We feel that the current infrastructure would not be able to cope with a large residential development at this site and feel that these concerns have not yet been addressed. If such a large development was to remain in the housing plan in Rothwell, we would need the next leg of NGT to come directly through Rothwell, to be of benefit to our community and cope with the population increase and increase in movement of people. This site is included for phase 2. If this, in our view, unsuitable development was still to be included in the plan this site, if approved should not be released until Phase 3 as if a review is carried out by the Council on housing numbers this allocation may not be required and could be retained as Greenbelt. 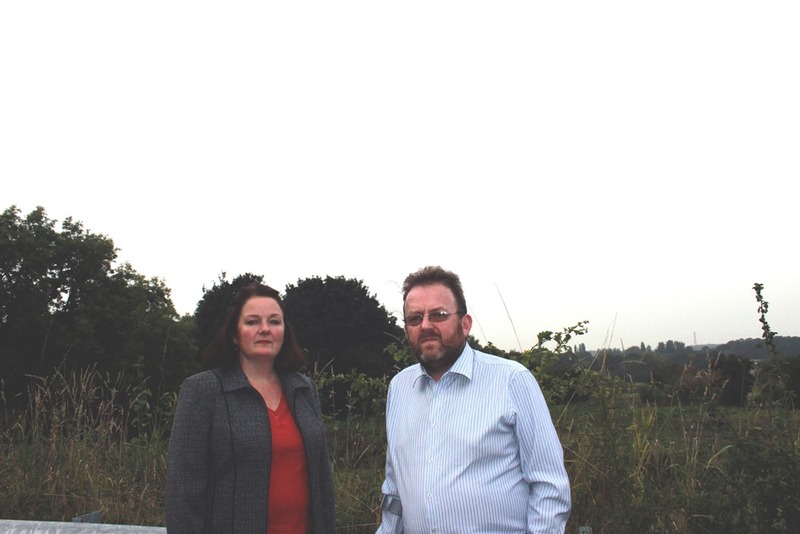 We strongly believe this site on green belt land is unsuitable for such a potential housing development. This area off Wood Lane is unsuitable for major development due to infrastructure and facilities not being in place so it is unsustainable. There is very little in the way of services and facilities at this top end of Rothwell which makes this site unsound element of the council’s plan. We don’t believe that this site has been positively prepared, justified, effectively or consistently with national policy. Therefore, we believe it should be removed from the council’s plan. Traffic situation at T-junction at Jaw Bones, at the end of Wood Lane. At rush hour residents have reported to us suffering regular long delays at this bottle neck. Local schools are already full. For a development this size a new primary school would have to be planned for, with part of land needed to provide a new school. This site is on green belt land. Brownfield land should be built on first. Traffic situation and local roads. The access to this site would be horrendous. Swithens Street is a farm road leading up to Swithens Farm and cannot cope with such a development. Tractors and horses are a regular feature. Residents should write from their own perspective of this. It is very narrow at the bottom of Swithens Street. Locals already have to wait to see a doctor. In the plan this site is potentially for older people. Being situated on a hill it is unsuitable for older people’s housing. It is not suitable for scooters and is a steep hill for older people to walk up. Local concerns around this site are that access to the site should not be through the John O’ Gaunts estate. This estate would not be able to cope with an influx of extra vehicular traffic into a new development. This could be a danger to local children playing and other local residents living on the estate. 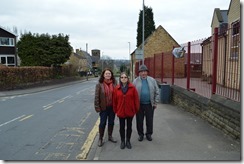 A suggestion was made at the recent Rothwell neighbourhood forum that a site in this vicinity could lend itself to access towards the motor way. This would make it much easier to access. This is one of the few brown field sites within the housing characteristic area, which is an important consideration bearing in mind that all proposed allocated sites within Rothwell are Greenfield sites. We strongly believe that where possible brownfield sites should be built on before greenfield sites, which should only ever be built on as a last resort. The site is flat and regular in shape. Is contained by the A630 to the North and Stybank Lane to the East. It can be easily accessed both from the Pontefract Road and Stybank Lane boundaries. Stybank Lane provides direct access to Rothwell and the A630 provides direct access to Leeds. There is a range of local amenities close by, including recreation fields, pubs and restaurants and a Tesco Express supermarket is within easy access, together with a children’s nursery soon to be built. However in common with all proposed allocated sites in Rothwell, there is a shortfall in education provision. If the whole motor auctions site was utilized for development there would also be a possibility of locating school provision on the site. The site lends itself well to development without being intrusive to the existing community without it being overseen and therefore the visual impact for the community will be lessened .The development itself would be well screened from the adjacent roads. The sites is at present primarily used to store motor vehicles that are sold through a motor auction business at the site. This site would be valuable for housing use and if provision could be made for the auction business within the Aire Valley this would be much more justifiable for Rothwell than wholly relying on the use of agricultural mostly greenbelt/greenfield land. This Wood, which is owned by Leeds City Council, has been in the past the subject of reclamation and upgrading work (together with associated and linked former railway tracks). A number of other former railway track routes already constitute Green Space and the addition of Haighside Wood and the former tracks would considerably strengthen the network. In this part of Rothwell there is a lack of wooded areas and Haighside Wood is a hub for wildlife due to the connectivity it presently enjoys with the Haigh Beck and the aforementioned tracks. At the same time the Wood is accessed by a public footpath (Public Footpath No 54) that allows public access. This means it is accessible for community use. It has the potential to be a community asset and be further upgraded and used even more. 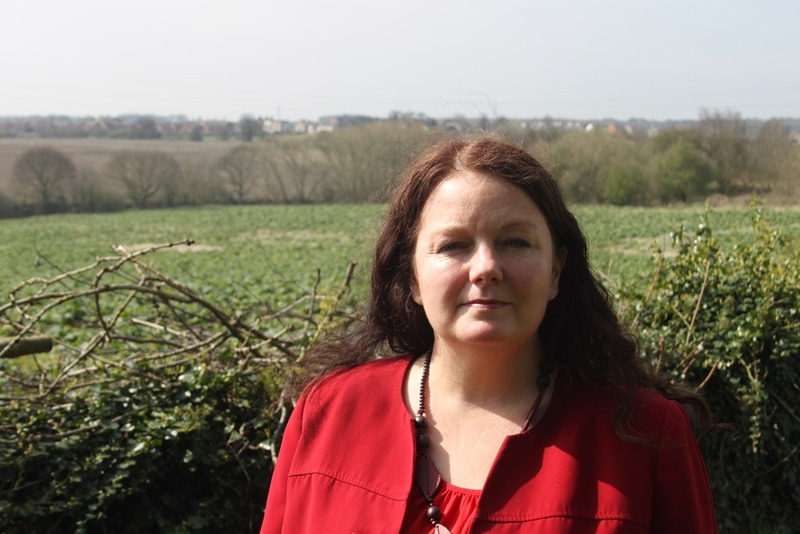 Councillors and Rothwell Neighbourhood Forum are working with the council to make improvements to bring the wood up to community asset standard. Haigh Beck comes from a spring local to Haighside Wood and flows down toward Rothwell Centre and through Spring Head Park, we understand, as the River Dolphin, eventually becoming Oulton Beck. 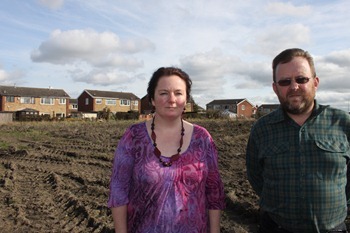 We support the Rothwell Neighbourhood Forum’s position on Swithens Plantation. Swithens Plantation is a mature wood that has not been recognised as a Green Space, but is an important component of local green infrastructure. Though the wood resides on private land, it provides a positive contribution to biodiversity emanating from its level of maturity and connectivity to the large tract of land that is Oulton Hall golf course. To omit the plantation from the Green Space allocation is considered not to be justifiable in the context of the aims and functions of the Strategic Green Infrastructure Network and is a natural habitat worthy of designation. proposed site allocations in the Woodlesford and Oulton areas and should be taken fully into account. Residents nearby are in limbo and their lives have effectively been put ‘on hold’. As Woodlesford is being expected by the government to take the devastation that HS2 coming through would cause and having to take a share of the toll from national infrastructure, this cannot be ignored when looking at site allocations. Not enough affordable housing or bungalows. The Woodlesford and Oulton neighbourhood forum has identified the need for bungalows for local people moving to retirement homes to enable them to stay in the local area. This site could be suitable for mixed use development. We don’t want to lose this site as a business site but in the plan it assumes that the garage will be destroyed. This location is potentially suitable for older people’s housing being close to amenities. Flooding could be an issue. Site currently occupied by Cooper’s garage, one of the major sources of employment in Oulton and Woodlesford. The site has been reclassified for mixed development, this could allow for the garage business to remain as part of the site. We would support the southern part of the site to be developed to strengthen the Oulton village hub. The site would be ideal for housing for elderly persons. Being well situated for this, being near to shops, post office and a café and on a bus route. Such a development will increase the site’s capacity. Frontage on to Midland Street has potential for development of a further terrace of two-bedroom houses similar to those recently developed further up Midland Street . It is proposed to have a through road from Fleet Lane and Methley Lane. We feel that this would become a rat run and do not want a cut through. This site should be developed with supported accommodation for older people, which could form a ‘care’ hub adding to existing amenities. The council has been working with the Dolphin Manor Trust over several years to provide a new care home and is also talking about options for extra care housing and new nursing home provision. This site is a good one to utilise for such plans and should serve to cater for Rothwell’s future older population for their care needs and we would like to see this run in partnership with the local trust for local people. Not far from HS2 route. Site is on a slope and has contains mature trees that should be preserved..
Site is an awkward shape. Poor vehicle access via Alma Street. Challenging site but could have potential with creativity. 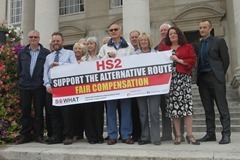 Currently government’s proposed HS2 route would have major impact. If presently proposed HS2 route is kept, then mixed development might still be possible. Small business premises and a restaurant might still be compatible. If HS2 route revised, ideal site for canal-side flats and restaurant. Concentration on flats will increase site capacity. HG2- 182 includes farm and farm buildings and land between Main Street and Ashton Crescent which are a renowned cornerstone of the rhubarb triangle. Tours of the sheds have featured on national television. The site sits at the heart of the Rhubarb triangle and the local bed and breakfast business and the Unicorn Inn do trade from this. It is unclear from these proposals what a future operation would continue as. It is vital that any development that takes place in this location needs to sensitively account for the traditions, history and heritage of what was and is still a small rural village. Part of this site is also used for the annual local Rhubarbfest celebrations, when the road is closed off and the Carlton community comes together with live music, rides, stalls etc. This is one of the highlights of the Carlton community calendar. Part of this land is the subject of a community bid to become a community asset. G1-410 contains some grassland and a number of increasingly mature trees that were planted by the community. The community would not wish to lose these trees. The site would involve a junction immediately opposite the Unicorn Public House. The Main Street is a very narrow road and the pavements are extremely narrow and do not meet modern standards. Carlton infrastructure is not able to accommodate a significant level of development being a small village. There are already drainage problems in the village and in particular around the Main Street/New Road area. Local school is at capacity and no room on the site for expansion. This site is used as an overflow car park for the village, this is particularly important given that the main car park used for the village on Town Street has been lost to development. The nearest doctor’s surgery is Lofthouse Surgery, many residents of Carlton are registered there. It is at capacity and recently had a planning application refused to extend the surgery to two levels as it already has problems with parking capacity. There is still some time left to submit your own comments on the site allocation during the public consultation period which ends at 5pm on Monday 16 November. Details on the site allocation plan can be found on the Council’s website at: http://www.leeds.gov.uk/council/Pages/Site-Allocations-Development-Plan-Document-(LDF).aspx where you can also submit comments. Email comments can be sent to sap@leeds.gov.uk. You can copy us in at david.nagle@leeds.gov.uk and Karen.bruce@leeds.gov.uk. Next Thursday 7 May it’s both the general election and the local elections for Leeds City Council. After serving the people of Rothwell, Woodlesford, Oulton and Carlton for the last four years I’m up for re-election this year. This is a copy of the Rothwell News leaflet that local Labour Party and community volunteers are delivering to every house in Rothwell – almost 9,000. In the last four years I’ve met many of you at community events, when doing my roving advice sessions on your street or when knocking on doors, but with 16,000 voters it’s inevitable I’ve missed meeting some of you! I’ve deliberately kept it up beat and positive instead of criticising other parties as that’s what politics should be like in 2015, sadly the local Liberal Democrats don’t agree and have made most of their leaflet negative and nasty. 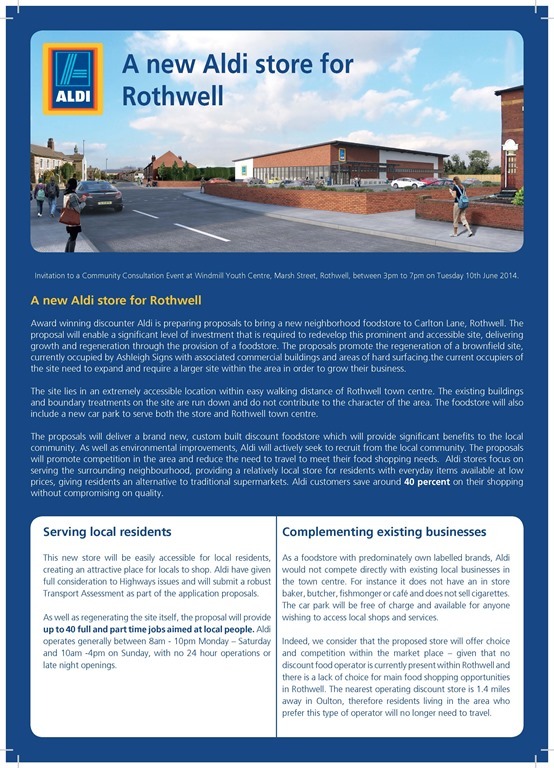 Me and my ward colleague Cllr David Nagle have been approached as Rothwell ward councillors by Claire Temple of Planning Potential Ltd to have a meeting with her and her client, the supermarket Aldi, ahead of a public consultation event they are holding on 10 June. I had a chat with Ashleigh Signs about the possibility of their expansion in Rothwell some months ago. 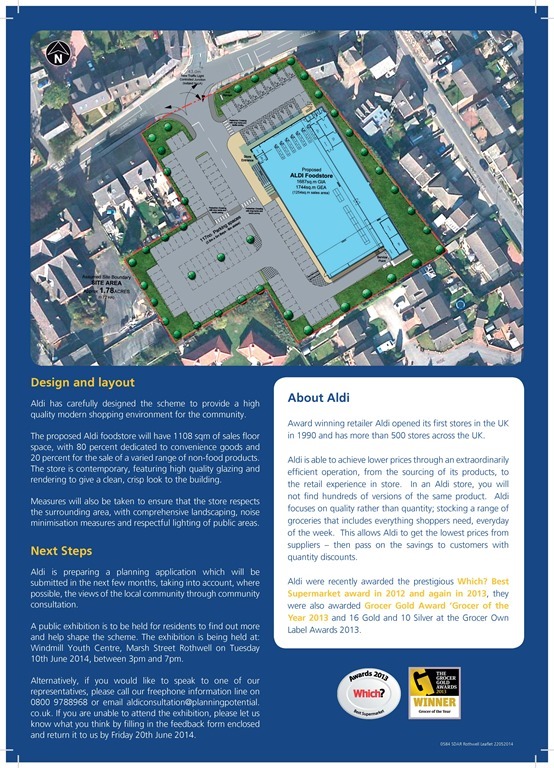 We are meeting with Aldi and Planning Potential Ltd next Friday 6th June to hear what they have to say about their plans and we’re interested in hearing what you think about Aldi’s plans in Rothwell. The site we’re looking at is the Ashleigh Signs site, my client is Aldi; I know there are various rumours flying around so we look to be getting our newsletter out inviting people to the consultation early next week. I have attached a copy of the newsletter that will be posted to 1500 addresses with a freepost feedback card.I look forward to meeting you on Friday 6th.